Room 7 has a fabulous sea view of Porthcressa Bay out towards the craggy headland of Peninnis. The room has a comfy 5 foot wide king size bed. 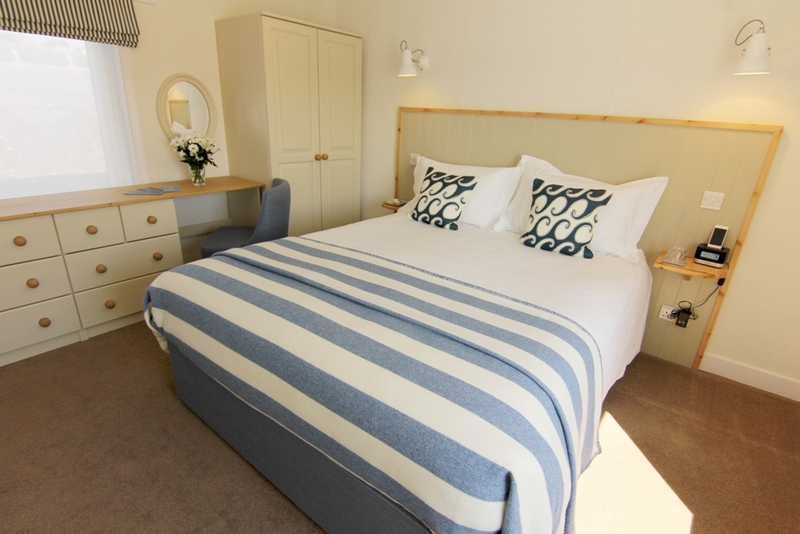 Located on the first floor, the room is bright and airy and is decorated in stylish coastal colours. Room 7 has a shower en-suite.